As one of the preeminent sites in downtown Charleston, various buildings have been located on this site throughout Charleston’s history. The current building dates to the 1950’s as a former department store and has been updated over the years. 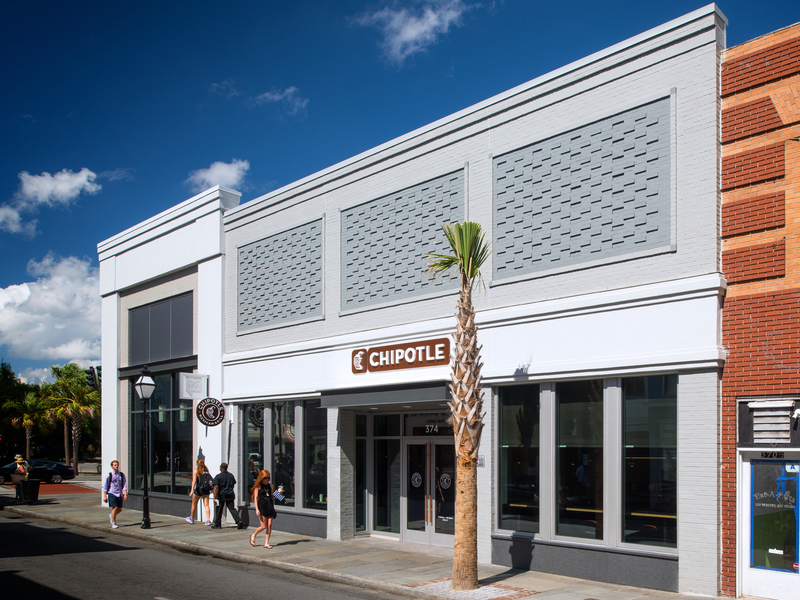 The current plan developed by the firm included substantial modifications to the facades to create a mixed use multi-tenant building. 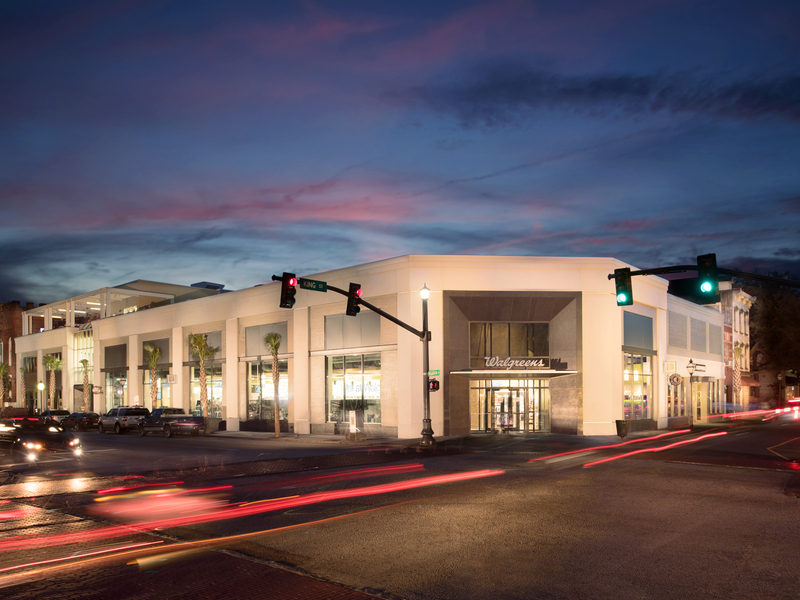 The design concept included opening up the facades with more glass storefronts, creating a clear definition of major entries into the building and removal of a rooftop open air structure to create a building that is contextual yet contemporary in appearance serving as the gateway from Marion Square to the lower portion of historic King Street. This conceptual mixed use building houses retail and restaurant uses. This is a new freestanding building for the Baker Porsche dealership at 1515 Savannah Highway. The building is a two story building with second floor partial floor/mezzanine. 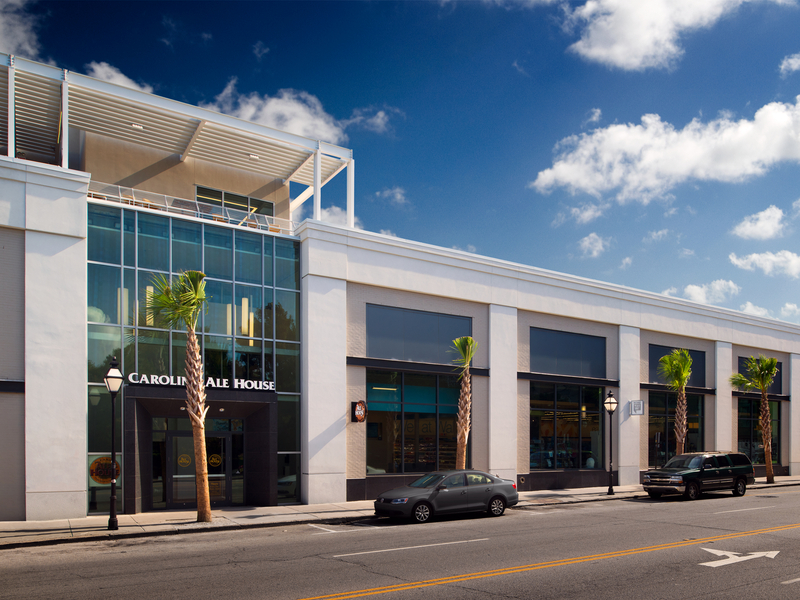 King and Calhoun Street Renovation is a renovation of an existing 27,000 sq ft building for retail and restaurant use at corner of King Street and Calhoun Street.